Children's furniture can be too cutesy for me - but here are two pieces I've found recently that I thought were cute without going overboard. 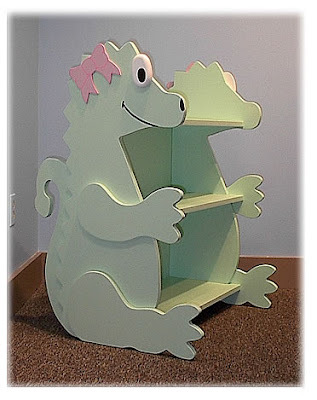 The dragon bookcase shown above stole my heart the minute I saw it. Update on Nov. 20, 2009: Sadly, the Loftus Designs web site is gone, and the bookcase doesn't seem to be available any more. 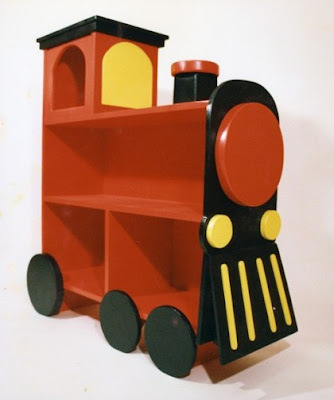 And I think this train bookcase is delightful, too. Update on March 29, 2014: The site that sold this bookcase has disappeared.